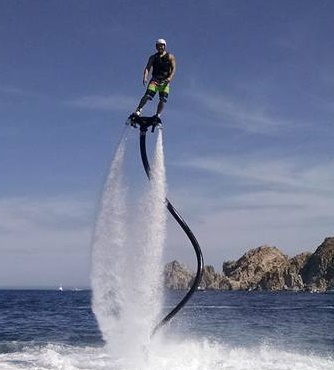 The FlyBoard is a watersports device, connected to and powered by a personal watercraft, which allows propulsion underwater and in the air. 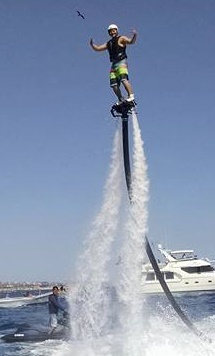 Users are connected to the board by wakeboard boots, under which, water pressure provides thrust, and users are able to fly. A certified trainer controls the power and height and you control all the movement. It could be compared to a powered wakeboard, or snowboard. Imagine being connected to a skateboard with the ability to fly… Sounds complicated, but we guarantee during your first session you will be able to cruise underwater, dive like a dolphin, and challenge gravity like Ironman or Superman! Our Riders fly without the arm nozzles for the ultimate experience and a more comfortable and natural feeling. The movement is controlled by tilting the feet, bending your knees and shifting body weight. Without these arm nozzles, users have their arms free to help balance, to dive easier, and to wipe water away from the eyes. 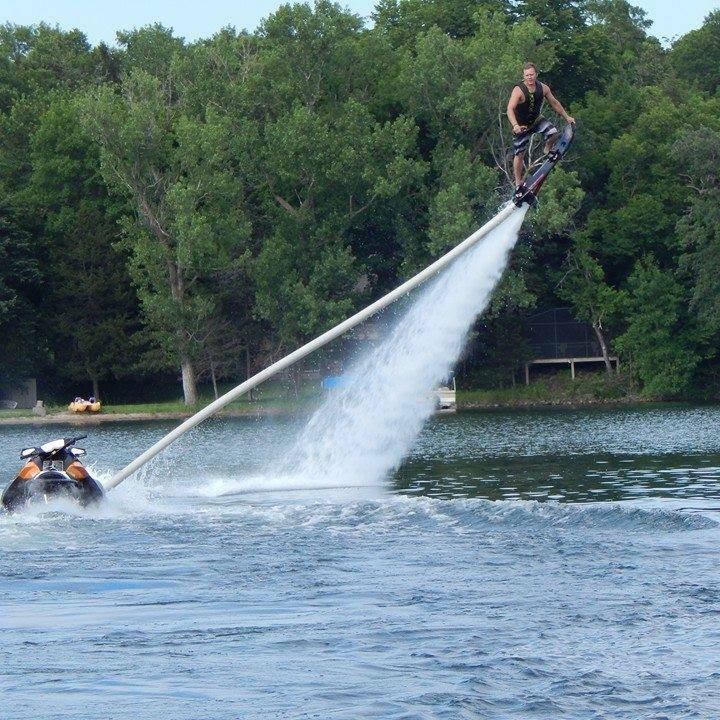 Our customers can can choose to use jet pack, hoverboard, or flyboard.